Some nine Christmases ago, I sat down on a couch my in-laws' living room with the whole family and watched a short video that my brother-in-law-youth-pastor had brought with him. In it, this really cool-looking guy was walking through the streets and the woods, talking about rain and his son and what it is to be wanted by God the Father. It was a great little video: well-produced, well-spoken, and well-pointed. And so Rob Bell was born into my life. A lot has transpired since then. 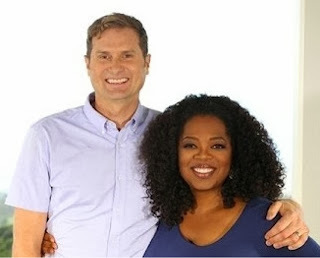 But (former) Pastor Rob had a long sit-down interview with Oprah last week. You know you've made it when you sit down with Oprah. So we've come "a long way" since that couch. Bell has certainly swayed me one way or another in numerous ways over these years. I've appreciated much of what he's put forth. I've left a lot of it behind, too. 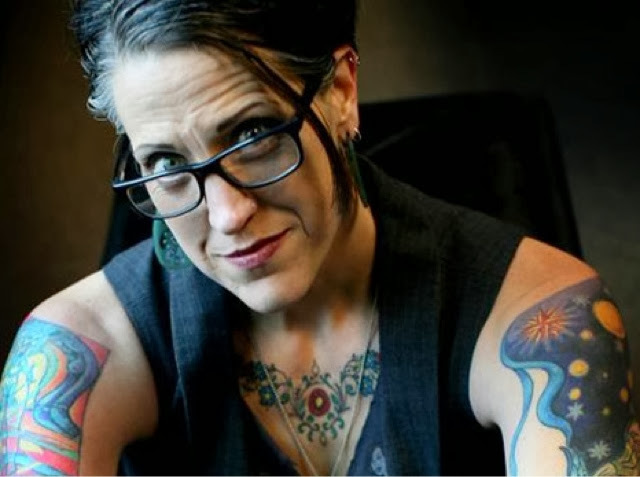 Just a few months ago, someone sent me a podcast of Nadia Bolz-Weber. I appreciate her fresh take and inspirational story/style in the Church today. I could take or leave the vulgarity, but it's nice to see people pushing the envelope so we can stop thinking about the Church as only that which exists in button-up shirts and khakis. But I hope it's not just an act or a way of drawing attention. I don't know her. Would love to meet her. Even more so: I'd love to spend a day worshiping or serving with the church she leads. Because in between Rob Bell and Nadia Bolz-Weber are a hundred other "personalities" that have otherwise affected, inspired, or changed me in some way, even if just a little bit. Probably the most effect has come from Stanley Hauerwas, quite the personality himself. Before Pastor Nadia burst onto the scene in great part due to her keenness on verbal vulgarity, Stanley H. was cursing like the son of a brick-layer that he actually is. But form aside, their message is notably...different. I'm tired of individuals who after a while just seem to be notching up their hits or views. Bloggers, super-pastors, seminary theologians...all personalities whose notoriety is built on being different, finding a cutting edge, saying something "new", or at least being the first. And not just because personalities often lead to quick and easy downfalls. Media like Facebook, Twitter, or even old-school news media can tear apart a personality at the whisper of conspiracy, downfall, or fraud, like the recent spotlight on Steven Furtick and his new house. What we find is that once the marketing, the pretty pictures, and the clean-cut logos are stripped away, personalities are simply human. I'm tired of hearing about super-personalities. I want to hear about groups of people working together in the personality of Christ. Tell me the stories about individuals who are working hard for and as Christ in places no one really cares about. I want to hear about what the Church is doing together in various places in various ways. I don't care about cutting edges. Let me hear how ancient stuff like Matthew 25 is playing out or how the Greatest Commandment is exemplified through normal people who would otherwise look ridiculous standing on stage at some conference. But tell me about these groups and people in whispers. I don't want the spotlight to screw up what they're doing for the Kingdom. I don't really believe in "special little corners of Heaven" but if I did, I would surely believe that there's one reserved for people whom no one's ever heard of. And it'll be way bigger than the corner reserved for everyone who ever has been. Closer to home, I totally confess that I'm weary of many seeing the church that I lead as "a result" of my personality. I'm weary of it because I can't bear it. I can't bear the image in actuality of practice (because it's not true). I can't bear it emotionally. And I certainly can't bear it theologically. "I hear you're doing great things at North Street! ", some say to me sometimes. I know they're just trying to be an encouragement or start a nice conversation, but I've started to ask them right back, "Oh yeah? What have you heard?" I try to honestly respond that it really is a great group of people and much of the credit goes to willing vessels who call the church their home. But I'm sure it more often than not comes off like a deflecting "I'm-just-trying-to-be-humble" cliche, only made to add to the image. Quite frankly, when we actually read the narratives of scripture, we rarely see a wonderful picture of crisp-clean personalities. And most of the few exceptions demonstrate what a people are doing together. This summer as part of my sabbatical, I visited a few church communities I'd heard about from afar or had never heard of at all before the summer. And it was awesome to see how The Lord is working through people in ways for which there is no clean website, no five-step plan, and no real super-star personality other than the collective Christ that abides within these groups. Ever heard of the Community of Adsideo? If you're in the Nazarene world, you might have. But chances are you probably haven't. This little community of 70 or so people (about half of how many they were a few years ago) is also an intentional living community striving to be the Church. While anyone can enter their community space pretty much seven days a week, to join this church, one must go through at least a year of intense discipleship. They're so focused on serving other fragments of the Body of Christ that I kinda felt like I was in the way when I was there. But they welcomed me nonetheless. Ever heard of Mid-City San Diego Church of the Nazarene? You might have. But chances are you probably haven't. It's churches within a church within the Church. There are seven language-speaking groups who share a horribly run-down, unattractive building. The carpet was gross (I actually wonder if they refuse to replace it just so it serves as a visible - and smellable - way of reminding them that there are more important things than the carpet). And in the worship gathering of the English-speaking portion of the congregation, I worshiped with maybe about 50 people (though I do think it was a "down" week in the middle of the summer). But this church is smothering the things of evil through creative means of food distribution, immigrant-service, and addiction-squashing. Ever heard of Peace River Christian Fellowship? You might have, but I doubt it. Just a smallish group of Christians who gather on Sunday evenings together in another church's building. Kids running all over, just a normal potluck afterward, some songs and sharing from the Word. Sure, they hope to grow, but it doesn't appear to be priority #1 for them. They just want a peaceful fellowship together wherein prayer is shared, the Word is preached, and people know Christ. But today, I think I'm writing because I'm realizing just how much I want to please people. I have this life-long penchant for trying to make everyone like me. I hate conflict and I hate people thinking any ill of me at all. It's a horrible thing, actually. And it's far from the path to and through the cross. More specifically, I again discovered today a number of people who have "unfriended" me on Facebook (at least, I'm not sure how else we're no longer "friends"). You'd think I'd know by now that you can't please everyone. You'd think I'd have learned that I should get over such things. But honestly: I am indeed sensitive. So help me, God. When I was in college, the guy who is actually now my advisor at BU spoke in one of our chapel services. It's funny to me that I've always remembered him as being the first to share the following prayer. I have returned to this prayer numerous times. I remember praying it as I wrestled with coming to North Street or taking a position at another church. I've prayed it when I'm feeling overly-good about what I've done. It's thusly disturbing that I haven't prayed it in a while.